Amy Poehler has signed on for the cast of The House, Will Ferrell’s upcoming movie about a couple who run an underground gambling ring after blowing through their daughter’s college fund. Poehler will play Ferrell’s wife, hopefully rescuing the movie from the “crazy husband, bland, nagging wife” paradigm that it could so easily fall into, because nobody can bring the comic crazy like Amy Poehler. With any luck, audiences will get to see her sink her teeth into the role of a suburban casino enforcer, threatening to break people’s end table legs or wining and dining big fish soccer moms. 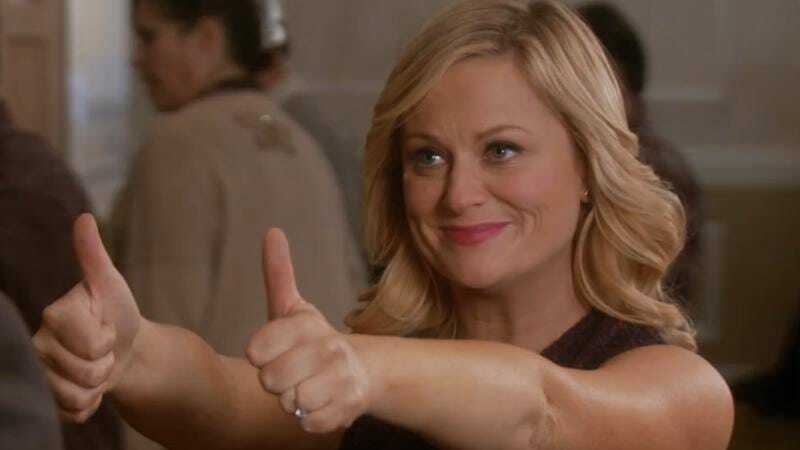 Poehler’s latest film is Pixar’s Inside Out (which comes out on June 19), where she’ll instead be channeling the “Nice” side of the Leslie Knope “Crazy-Nice” continuum, playing a young girl’s sense of Joy. Meanwhile, Ferrell has about a billion movies currently in development, including ones where he’ll play a Shakespearean actor, a stepdad, and a deeply creepy bearded guy in that Lifetime movie he made with Kristen Wiig.